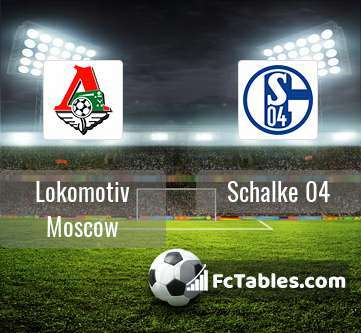 Kick off Lokomotiv Moscow-Schalke 04 in Champions League on today 16:55. Referee in the match will be Anthony Taylor. Team Lokomotiv Moscow currently is on lower place in table (4 position). Form team looks like this: In the last 5 matches (league + cup) gain 0 points. In Lokomotiv Moscow not occur in the match due to injury: Fedor Smolov, Aleksandr Kolomeytsev, Maciej Rybus. 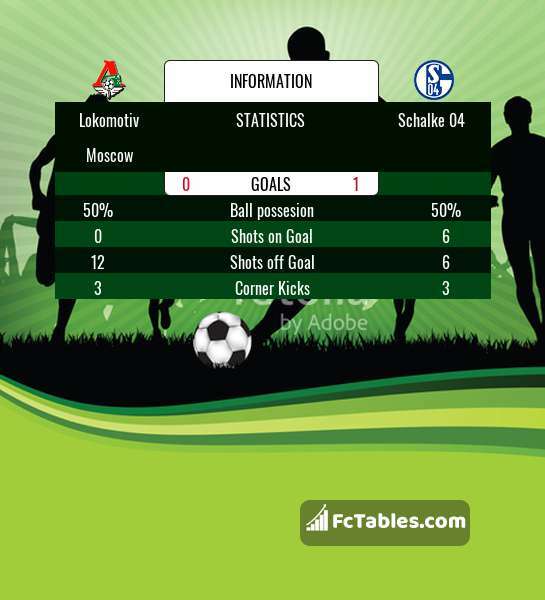 Team Schalke 04 is located in the middle of the table. (3 place). In 5 last matches (league + cup) team gain 1 points. The best players Schalke 04 in Champions League, who scored the most goals for the club: Breel Embolo 1 goals. Players with the most assists: , Weston McKennie 1 assists. Injured players Schalke 04: Benjamin Stambouli, Steven Skrzybski, Bastian Oczipka.